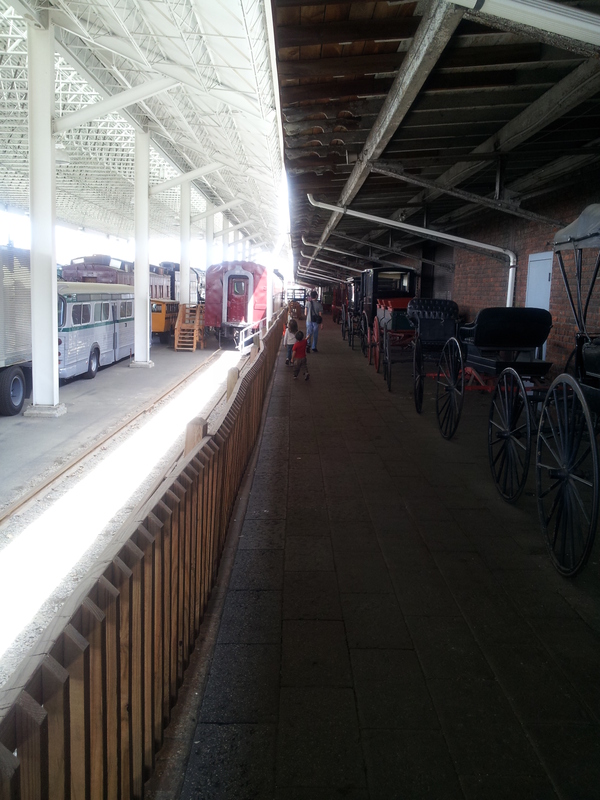 Yesterday’s big adventure was the transportation museum. It was a lot of fun. Before we could leave for the museum we had a bit of drama attempting to remove a splinter from my daughter’s hand. She still has the splinter. We gave up trying to get it out and moved on to more fun things. The kids loved the transportation museum. It wasn’t very crowded, I’m guessing because it was a week day. They were most in love with the trains. 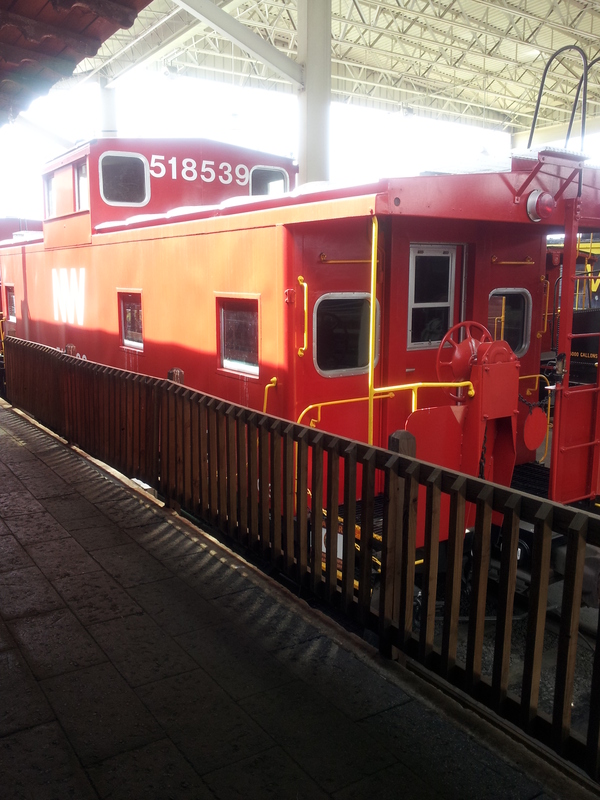 They had several old trains which we were able to get on and explore. That was really cool. The kids liked the climbing in and out and we enjoyed seeing the inside of the old trains. 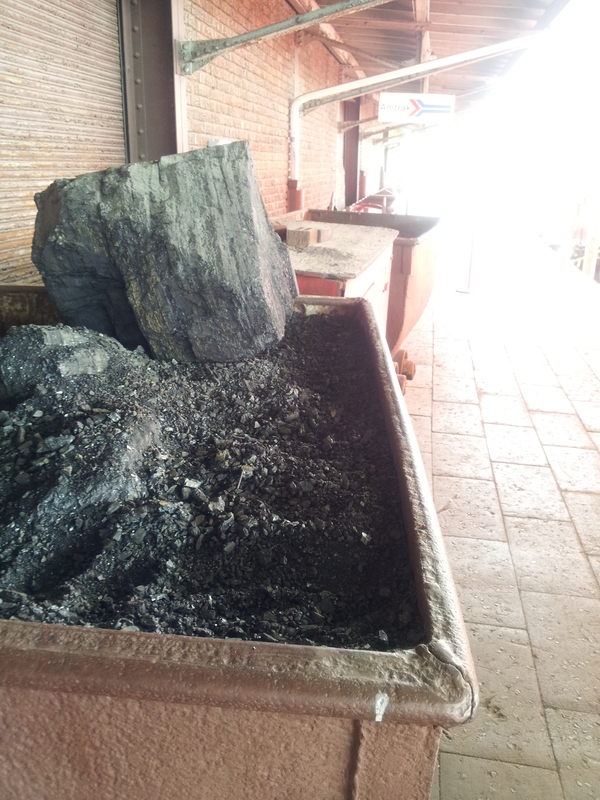 Although it focused mostly on trains, since it was a transportation museum there were other things there as well. 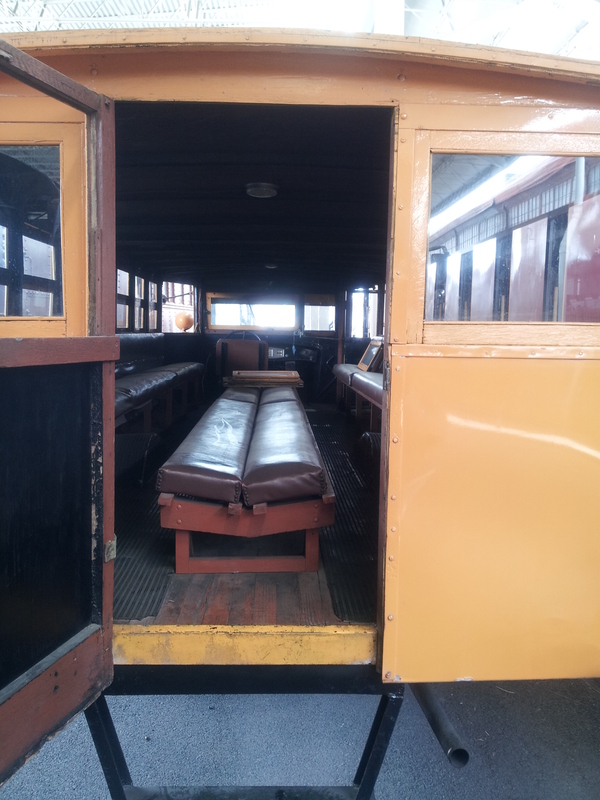 There was an old school bus which had benches running front to back, model airplanes, antique cares, etc. There was a lot of information about the different forms of transportation. It was fun reading the background information. Unfortunately the kids weren’t as interested in the information. They were mostly interested in the things they could move and that moved. Thankfully there were a lot of interactive areas. The kids could put on a fireman’s suite and put together puzzles. They especially liked the large model train that moved through the mountains. I would highly recommend if you ever make to Virginia to check out the transportation museum. I believe it would appeal to several ages since there’s the hands-on toddler stuff and lots of educational parts. Here’s a few pictures from the museum. 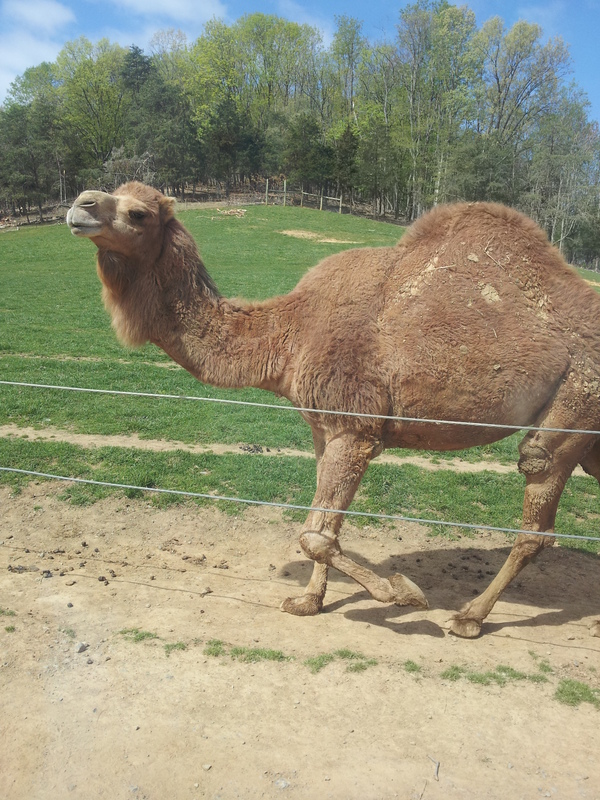 Yesterday was an animal fun-filled day. In the morning we went to a Safari Drive-through Zoo which had a regular zoo attached to it. I’d not thought the walk-through zoo was going to be very big so we’d only planned on a little less than 4 hours for this activity. We also had forgotten to check to see how far it was from us. It turned out to be a little more than 30 minutes. We left much later than we were hoping to leave. I packed a lunch when we left “just in case”. This ended up being great planning because we stayed much later than planned and ate lunch in the walk-through zoo. The drive through part of the zoo was really pretty neat. It was the first of its kind for me and my husband. 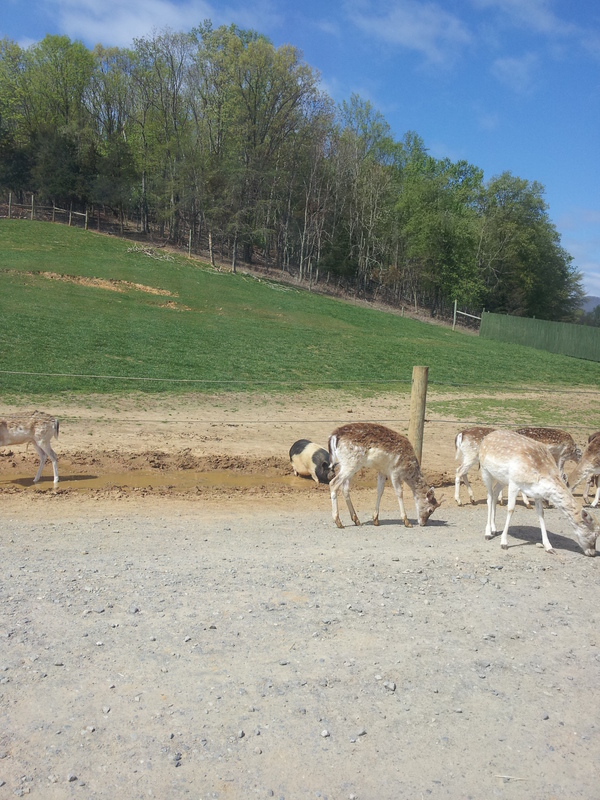 They had a lot of deer, llamas, antelope, cow-like animals, and buffalo. It was really great. We didn’t get feed for fear it might freak out the kids if the windows were open or if the animals stuck their head in the car. As it turned out, that was very smart because they were a bit scared of the larger animals when they were up close. Loved the smaller animals when they came close. 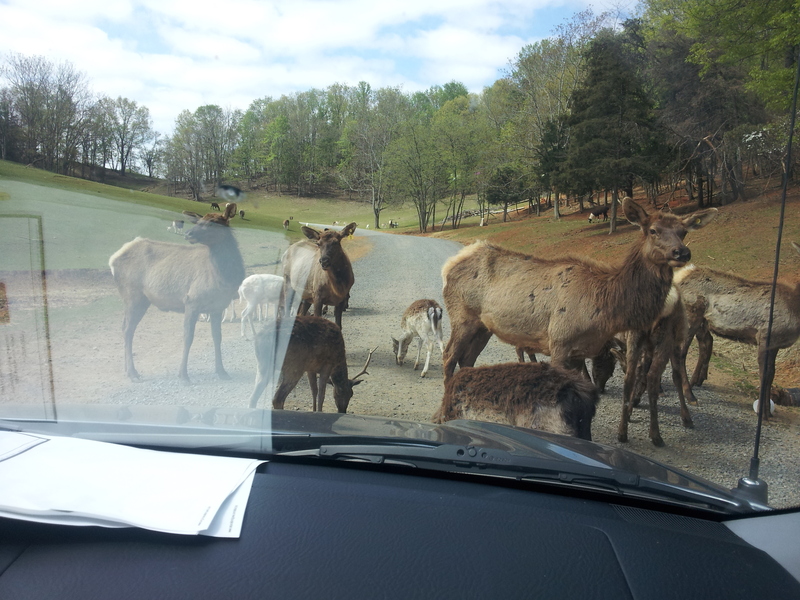 My daughter was afraid we may run over them when they’d get in front of the car. She loved the bigger animals when they were far away. After the zoo we stopped by the bride’s family’s farm/acreage. It was a beautiful drive with winding roads twisting through the wooded countryside. I believe I’m in love with this part of the country! It was fun because they have a chicken roost with a dozen chickens. The kids LOVED the chickens. They helped to feed them and then chased them non-stop. They wanted to catch one. Even my husband jumped in to help. It was hilarious watching them. My husband was crouched down with his arms out sayin, “Here chicky, chicky, chicky!” and shooing them toward the kids. The kids giggled and chased them. At one point, my son had cornered a chicken and could have caught it. He didn’t know what to do and just “raared” at it forcing the chicken to run for its life! We stayed until about nine o’clock, it was a lot of fun to be on the acreage. My husband enjoyed talking with the bride’s mom about owning bees. Some day my husband would love to own a hive and me chickens. In the evening they burn their trash and the kids loved watching the fire from a distance. 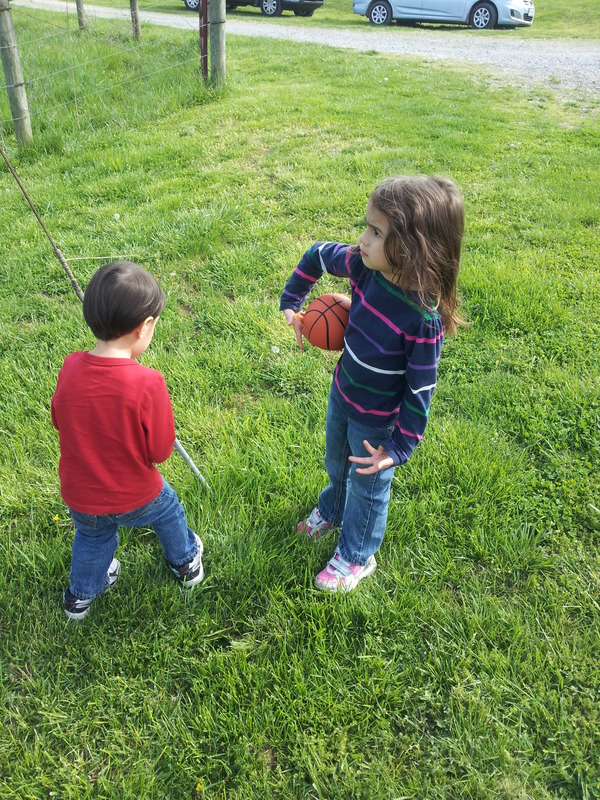 It was a day of many firsts for the kids. They were completely tuckered out when we left. Have you had any firsts on vacation? Please share your fun vacation stories. Here are a couple of pictures from the Safari Zoo, unfortunately my cell phone battery was dead and I couldn’t capture the chickens!